Although emergency rooms (“ER’s”) are the most stressful environment in the healthcare field, there are still rules and procedures and a standard of care the staff is required to follow. If a doctor or other hospital employee is careless, did not have the proper skills or just simply ignored the rules and procedures, the hospital may be held responsible for a patient’s injuries. It is sad, but true that errors in hospital emergency rooms are a common occurrence. How quickly a medical provider responds to someone’s injury is tremendously important. Understaffed hospitals or badly equipped emergency rooms can lead to fatal mistakes. An ER is not expected to completely treat a patient. The ER is required to make a proper diagnosis and then refer the patient to an appropriate expert. 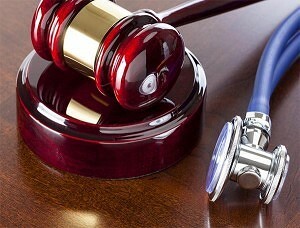 When there is a misdiagnosis, the hospital may be held liable for your injuries. If you or a loved one has suffered an emergency room or hospital injury, call us now at (800) 888-8888 or contact us by clicking on New York Emergency Room Attorney.